On Sunday, Lafayette, La., band Lost Bayou Ramblers took home their first GRAMMY Award for “Best Regional Roots Music Album.” Their Award-winning album “Kalenda” celebrates the diversity and complexity of the word “Kalenda” in Cajun culture—a Caribbean dance, a Louisiana rhythm, a Cajun rock song and a woman’s name. The album beautifully pushes the boundaries of Cajun music. Check out the title track from their GRAMMY-winning album below! 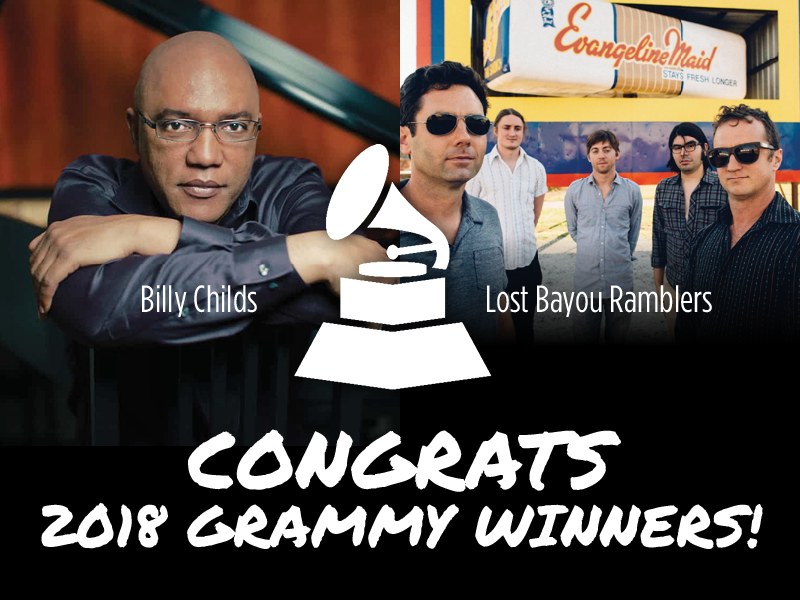 Multi-GRAMMY-Award-winning pianist and composer Billy Childs took home the 2018 GRAMMY Award for “Best Jazz Instrumental Album” for his album “Rebirth.” This is the fifth GRAMMY win for Childs—the first celebrating a full album. The album celebrates his many multi-faceted artistic abilities, showcasing his talent as an arranger, composer and performer (and some fun and sophisticated solos to boot!). Check out the title track from his GRAMMY-winning album below!